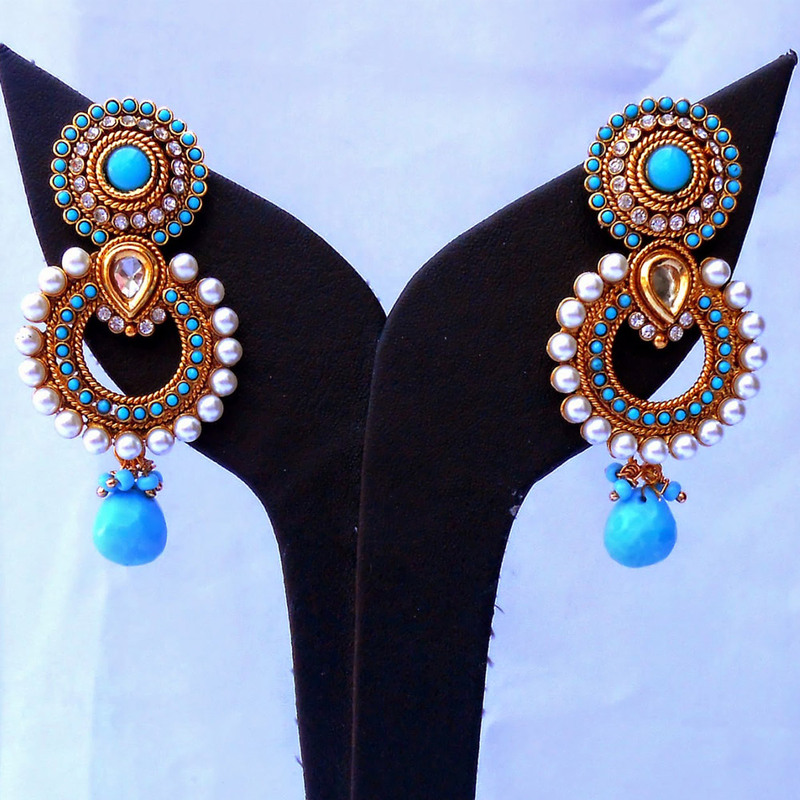 The turquoise stone present at the center of the stub on this pair of turquoise fashion earrings looks fascinating against the gold pated brass casing Read More..while a row of white stones surround it followed by another row of turquoise stones. More of the small turquoise gems stud the circular center part of the earrings while beads flank their outer periphery. Finally, an upside-down white teardrop shaped stone present at the top of the central part along with a teardrop shaped turquoise gem hanging from the bottom makes the earrings look enchantingly beautiful. Show Less..